At the end of the boil, solid particles in the hopped wort are separated out through the whirlpool process. This forces "trub" (denser solids consisting of coagulated proteins, vegetable matter from hops) into a cone in the center of the whirlpool tank. 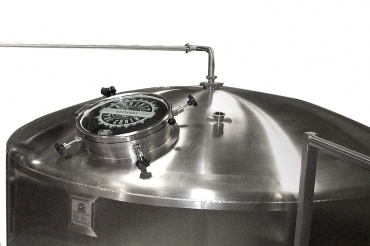 Brewhouses can be designed where the whirlpool process is done as a separate step inside the brew kettle or where a dedicated whirlpool vessel is added. 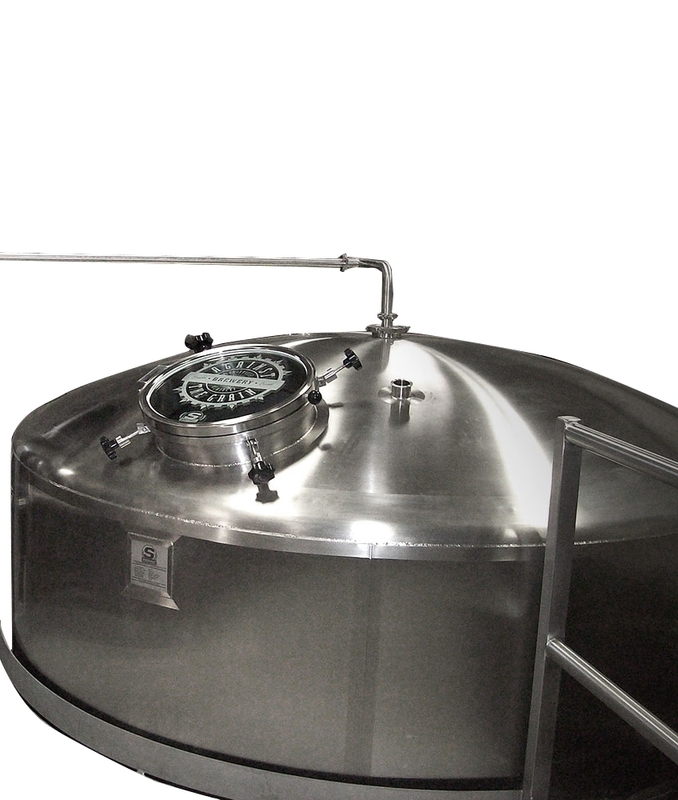 Whether you are leveraging a brewkettle/whirlpool or a dedicated whirlpool tank, we believe in a nearly flat bottom whirlpool with a slope to side. 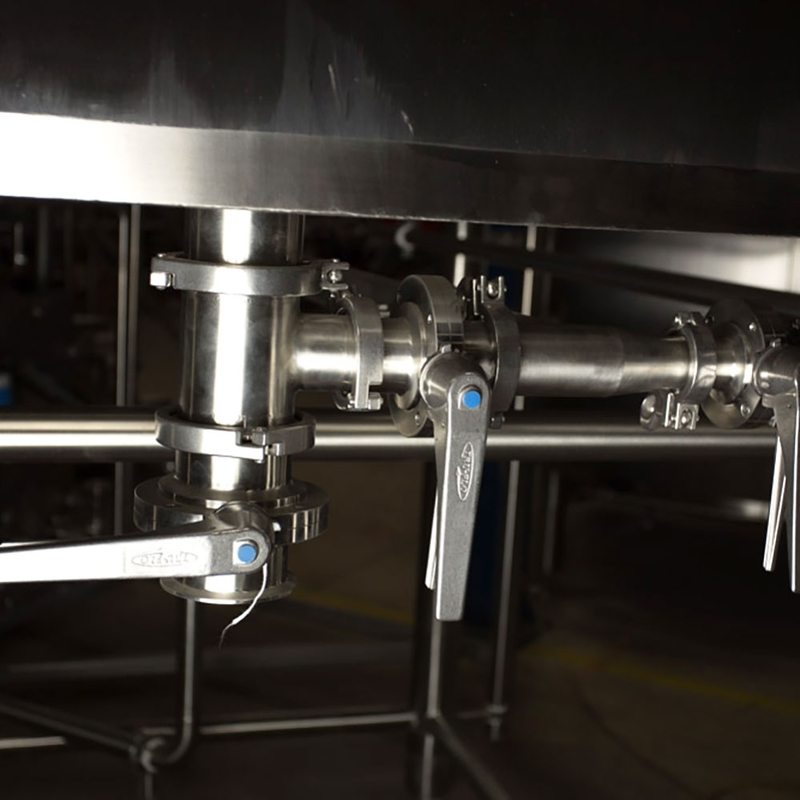 To assist the brewer with trub removal, we insert a nozzle flush with the side of the vessel and 180 degrees from the outlet that acts as a high-pressure hose connected to either brew water or hot liquor. Dramatically reducing the time you have to spend with a hose cleaning out the tank. 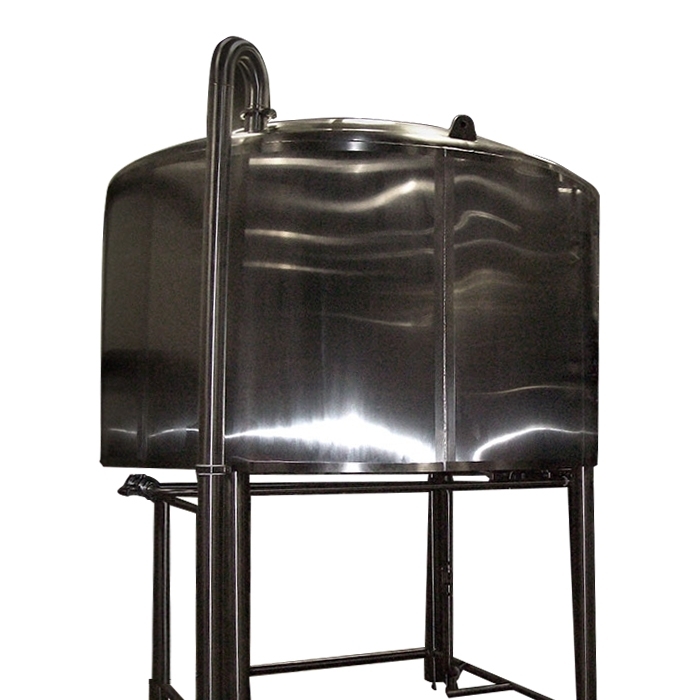 • Some customers prefer a sump design for wort draw-off which allows for three separate ports to be utilized during the draw off process.